Although I am a huge fan of winter, I think I have been living in the cold for way too long now; time to indulge and enjoy summer! I come from a country where the beach is an essential part of our life, a visit you make minimum 2 times a week for around 6 months of the year – sunny Beirut is known for its beautiful coast and golden kissed tans. 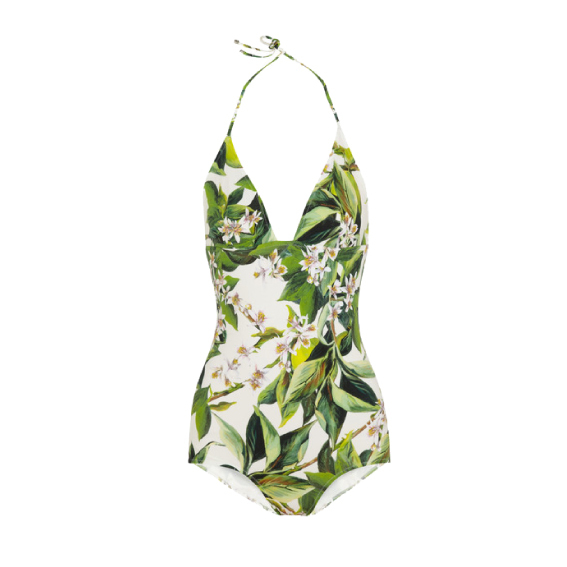 Getting into the mood of summer after a really long and harsh winter in Switzerland, I have compiled a few of my favourite swimsuit picks of the season. Looking back a couple of summers ago, rarely would you find anyone strutting a 1-piece suit for the beach; however this season things have changed! 1-piece swimsuits have become really popular, no longer are they associated with your swimming course in gym class – these babies come in all shapes and colors! Be careful however and do not fall for the trap of believing that a 1-piece covers up more than a bikini. On the contrary, full piece suits shape the physique more and emphasises curves, while a bikini covers the essentials but does not highlight the curves. There is no harm in trying on both to see what best suits – try a session of solarium or spray tan before your first trip to the beach or pool side, helps very much with what I would like to call “1st trip beach fear”. ← The Nike Evolution – What is next?